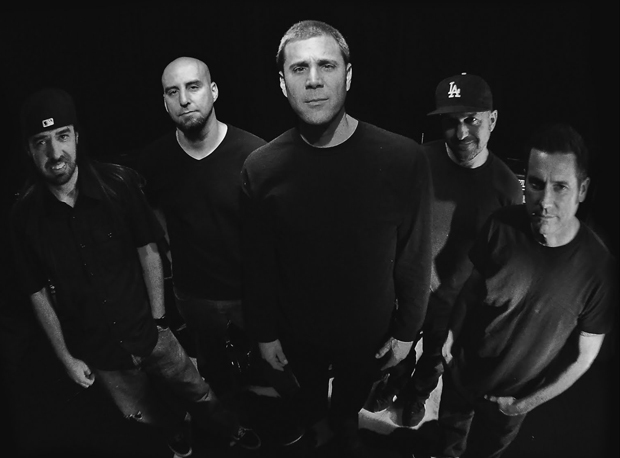 Scott Radinsky, far right, is the lead singer of the band Pulley. Radinsky was also a pitcher for the White Sox in the ‘90s. 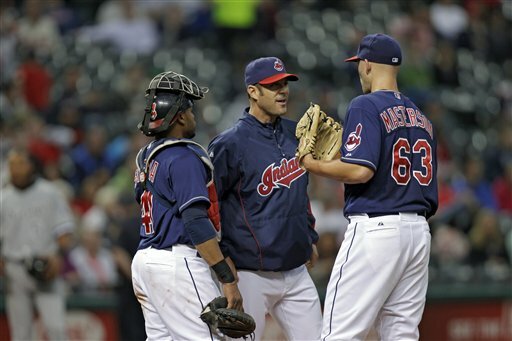 Cleveland Indians pitching coach Scott Radinsky, middle, with Justin Masterson and Carlos Santana. White Sox fans may have to think back to place the name Scott Radinsky. The hard throwing left-hander was part of the South Siders’ bullpen in the early ‘90s. That Sox club included a cast of characters: Ozzie Guillen, Frank Thomas, Robin Ventura, Jack McDowell, Tim Raines, Carlton Fisk and Radinsky. I talked to Radinsky recently about his journey back to the majors and his music. He started by telling me how much he enjoyed working his way back up. Having fun was always Radinsky’s mantra; he still bounds up and down the dugout steps like a kid, and he used to ride his bike every day to and from U.S. Cellular Field. I once ran into Radinsky while taking the subway to mid-town Manhattan after a Yankees game. Not too many players – then or now – would do that. But he loved any and all experiences. That includes his music. Radinsky said he&apos;s been playing and touring every summer since after he graduated high school, and continues to devote about five months a year to it, even at age 44. But, he said he likes to keep that part of his life separated from his life in baseball. Radinsky has a lot to be proud of: During his career he spent a year battling Hodgkin’s Lymphoma and another year recovering from “Tommy John” elbow surgery. He overcame both struggles with grace. In his personal life, Radinsky said his 20-year marriage to his wife, Darlenys, is his biggest success. (She is, coincidentally, the sister of Ibis Guillen, former teammate Ozzie Guillen’s wife.) Radinsky took great joy in talking about his three children and was proud of the fact he spends his whole off-season time with them. He relished talking about taking them to school and going to parent-teacher conferences. During our conversation, Radinsky asked me if I still liked doing what I do and dealing with athletes. Talking to him again, I can say without hesitation: yes.